5 Star Maintenance understand the importance of fitting high quality fire doors, fire exit doors and if necessary fire shutters. They enable occupants of the building to evacuate quickly and easily in the event of an emergency, and to minimise damage to property. We supply, install and maintain a wide range of fire doors, fire exits and fire roller shutters we have something perfect for every application. We supply and maintain for many types of properties, industrial, retail, offices schools, public buildings and for many others too. Our friendly team can advise you on what bests suits your requirement and can offer expert assistance every step of the way. Fire exit doors are one of the most common types of steel security doors. We can supply you with these doors for both new builds and replacements, including external and internal double and single doors, both for commercial industrial buildings, warehouses, offices and exit doors or shops, theatres and other publicly used facilities. 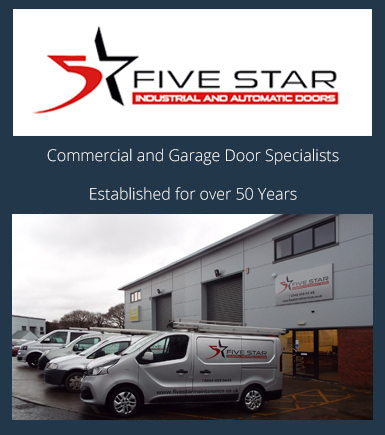 5 Star Maintenance install, service and repair a range of fire rated doors, from heavy, solid wood interior doors to steel exterior models installed and maintained to building code and local authority requirements. 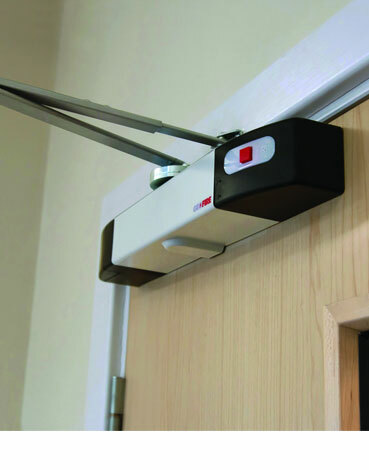 Installed with door closers, fire rated hinges and for fire exits, panic bars. Wide range of Fire doors and Fire exits installed and maintained. We ensure all Fire Doors & Exits operate & function in line with current legislation. 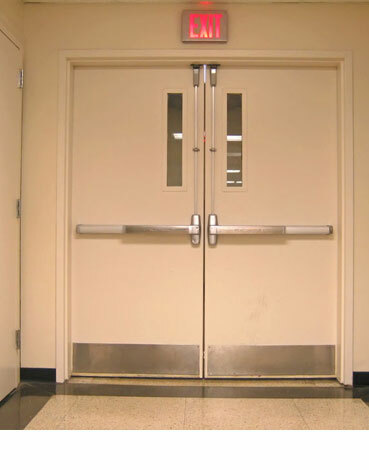 Fire doors act as a barrier, which is why fire doors act as one of the best ways to effectively reduce the spread of a fire from one area to another. Fire exit doors must be kept unlocked when the building is occupied, so that in the event of an emergency personnel can just push the panic bar and exit the building as quickly as possible. 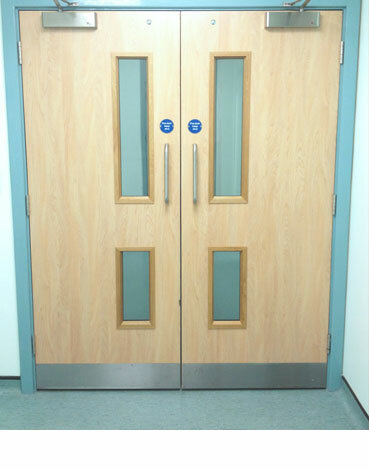 There are various options for self closing fire doors to assist is the rapid closure of internal fire doors that need to be kept open during normal working hours, but closed rapidly to prevent fire or smoke spreading.